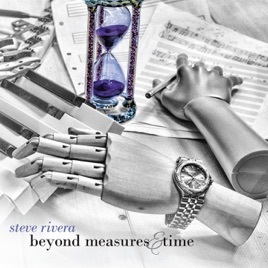 Beyond Measures & Time is the follow-up album to pianist and composer Steve Rivera’s critically-acclaimed debut release entitled Dividing the Darkness. Whereas his prior album featured piano ensemble pieces that were variably accompanied by strings, horns and gentle percussion, Beyond Measures & Time is comprised entirely of eleven contemplatively engaging solo piano compositions, of which only further highlights the immense beauty of Steve’s signature compositional style. I’m also quite fond of the album’s captivating artwork with its slightly steampunk edge, which seems slightly out-of-the-box – yet very fitting – for the album’s overall concept. Fittingly introducing this album is the gently contemplative “Suspended Dream”, which seemingly conveys a feeling of gradually waking up to sense the warm glow of a morning sunlight. One of my favorite pieces herein is the classical-accented second track “Passing Shadows”, which opens with softly-twirling figures in the higher register that eventually give way to a somewhat brighter yet contemplative melody, before eventually reverting to the composition’s initial motif. My absolute favorite piece however is the nocturnal and shadowy ninth track “Dark Tides”, which aptly conveys an overall darker undercurrent. Seemingly flowing along in a continuum with no defined beginning or end, this subtle piece dreamily drifts along like a boat sailing the waters, as it effectively alludes to both literal and metaphorical interpretations of ‘dark tides’. Whereas many piano players who market their music as ‘new age’ will often tend to avoid touching on darker moods and emotions, Steve Rivera’s tenderly introspective compositions perfectly elicit both light and shadowy atmospheres with a command of dynamics that is rarely heard. And while Beyond Measures & Time frequently touches on more sensitive emotions throughout – both musically and thematically – ultimately, it is an album which conveys a satisfying sense of hope, comfort and fortitude! 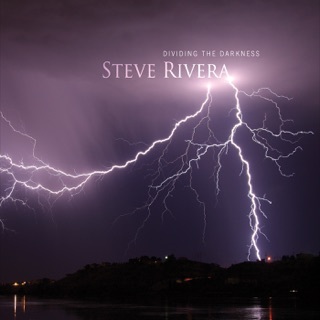 As much as I love Steve Rivera’s 2015 album, "Dividing the Darkness," his solo piano "Beyond Measures & Time" overflows with that very special something that can come only from a sensitive soul at one with his piano, playing from the depths of his heart. Produced by Will Ackerman and mixed and mastered by Tom Eaton at Ackerman’s Imaginary Road Studios, most of the eleven original tracks are on the quiet, slightly mysterious side. Reflective and often dreamy, there is nothing flashy about this album, but the simple directness and honesty of the music wrap the listener in a warm blanket of sound that soothes and uplifts - a peaceful respite to escape to whenever wanted or needed. Even the cover artwork is beautiful and slightly mysterious! "Beyond Measures & Time" begins with “Suspended Dream,” a very relaxed piece with a gentle rolling rhythm and a beautifully uncomplicated melody that just trails off at the end. “Passing Shadows” is somewhat darker and more melancholy, brightening near the end as the shadows move on and allow the sun to shine through. The first part of “Unlocking the Moments” is on the quiet, wistful side - very open and delicate. The second movement ups the energy level a bit and then returns to the first theme - very lovely! “Spectrum of Thoughts” is a favorite. Dramatic and colorful, the spectrum of the title expresses a wide variety of thoughts and feelings within the music. “Falling Closer” opens with a very tender, expressive theme that is played mostly in the upper octaves of the piano. The second theme moves into the mid-range of the keyboard and seems to be speaking from the heart - a wordless soliloquy. The third theme becomes more dramatic and intense, often crossing into the deep bass of the piano before returning to the quieter mood of the first sections to close - a favorite! “From the Beginning” has a gently rhythmic walking tempo and makes me think of being out on a very pleasant stroll on a spring afternoon. “Dark Tides” is my favorite piece on the album. Somber, poignant and emotionally powerful, the left hand plays dark rolling chords that support a very spare but heartfelt melody. It reminds me a little bit of “Delicate Force” from Dividing the Darkness, which was my favorite piece on that album. I also really love “Fragmented Dreams,” a slow beauty that is on the intense, emotional side and evokes a variety of images in my mind. “Measures & Time” closes this excellent album on a dreamy, pensive note as it fades out at the end. Although it has been almost three years since Steve Rivera released "Dividing the Darkness," "Beyond Measures & Time" was well-worth the wait! Very highly recommended!